Chicago police have formally arrested and charged an 18-year-old man in connection with the death of Shamiya Adams, the 11-year-old who was killed by a stray bullet while she was playing at a slumber party, New York's Daily News reports. 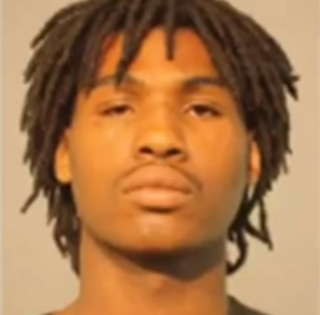 The suspect, Tevin Lee, reportedly was looking for revenge in some sort of dispute involving two 14-year-old boys, police Superintendent Garry McCarthy said, according to the news site. One of the teens was beaten up by a group of other young teens. That boy in turn told his older brother, and Lee eventually heard of the situation and started tracking down a gang member he thought was involved. When Lee reportedly saw the man he was looking for, the cops say, he fired at least four shots. One bullet went through a window opening in the house where Shamiya sat with her friends around an imaginary campfire, hitting the 11-year-old in her head and killing her. "We have two 14-year-olds fighting, and someone introduces a gun into a fistfight, and we now have another child murder," McCarthy told ABC 7. Lee was charged with one count of murder, one count of felony murder and one count of aggravated discharge of a firearm, the news station notes. "These guys are out here and they're shooting, and they can't guide the bullet, they can't recall it. And they're always hitting someone innocent. Pure innocence is what's leaving our world, and that's what Shamiya was," her aunt Marian Stevenson said. Police noted that there could be more arrests in the case, but they are reportedly sure that Lee is the shooter. A gun has yet to be recovered. Shamiya's funeral will be held on Saturday. Read more at the Daily News and ABC 7.